Honjo Masamune - The most famous sword of Japan forged by its most famous swordsmith, Masamune (1264-1343). 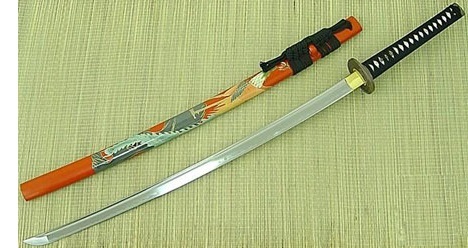 The Honjo Masamune is considered one of the finest examples of swordsmithing in history. Japanese swords are considered among the best in the world (although not by all), and Honjo Masamune the best of the samurai katanas. It's believed to have earned the name "Honjo" because it came into the possession of Honjo Shinenaga, a general of the daimyo, Uesugi Kenshin. He defeated another warlord named Umanosuke, at the Battle of Kawanakajima who was its owner, and took the sword as a prize.